Hair that is frizzy is often hair that is starving for moisture. Frizz is your hair’s way of telling you that it desperately needs deep nourishment and intense hydration. Many things can strip your hair of its moisture and natural oils including chemical treatments, heat styling, long hours spent in the sun, and harsh shampoos and cleansers. Naturally curly hair also tends to be more dry and frizzy than other hair types. How do you restore the balance to your hair and make it soft and silky smooth again? Follow our easy tips! With a little extra care, your hair can be transformed. If you are not already doing so, the stylists at our Stuart FL hair salon recommend switching to a moisturizing shampoo & conditioner. This will provide the deep hydration for which your hair thirsts, and will also repair damage, improve elasticity, and reduce frizz. Your hair will thank you by becoming softer, smoother, and easier to manage. Try to leave the conditioner on your hair for at least five minutes when you shower so that it can be fully absorbed by your hair. For a super hydrating experience, apply conditioner to your hair in the evening, and leave it on your hair overnight for intense moisture absorption. Over use of blow dryers can contribute to frizzy hair, static, and even split ends. Invest in a good quality hair dryer with an adjustable heat setting, and use the coolest setting possible. Ionic blow dryers are the best. You can also use a diffuser on the end of the dryer to avoid over heating your hair or simply allow your hair to air dry. When drying, hold the blow dryer above your head and direct the stream of hair downward. Blow dry using the cool setting at the end to seal your hair cuticle and promote a healthy shine. Use a soft towel to gently blot your hair dry after washing. Do not aggressively rub your hair with a towel or wring it tightly to squeeze out water. This can cause the hair surface to become rough, making frizz an even greater problem. If your hair is frizzy, dry, damaged or in need of a little extra love, schedule a deep conditioning treatment at our Stuart FL hair salon at least once a month. 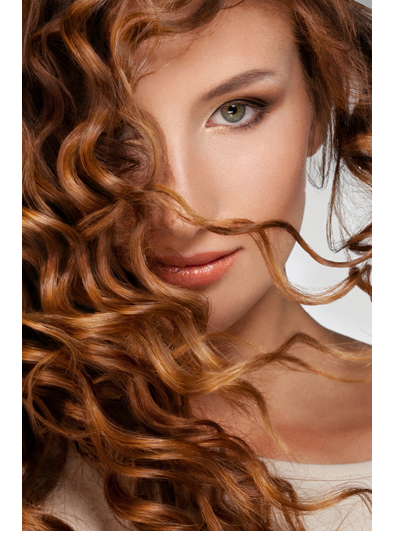 Frizzy hair can benefit from an a professional intense moisture treatment on a regular basis. This will help repair damage, seal the hair cuticle, add moisture and shine, and also increase the elasticity and manageability of your hair. Your hair will be visibly softer and smoother with vibrant shine. Check your styling products and read labels. If you see alcohol listed as one of the first ingredients on any product, then limit your use of that particular product. Alcohol is a drying agent that can contribute to moisture loss and frizz. Hot Showers. They seem very appealing, but they are the enemy of smooth straight hair. Hot water can damage the hair cuticle, causing it to open and become rough. Use lukewarm water instead for washing your hair, and finish with a cool water rinse to seal the hair cuticle and promote shine. Vigorous brushing can actually cause your hair to become more frizzy. Instead, detangle your hair with your fingers or a wide tooth comb while it is wet, working your way from the bottom up to the roots. A brush can be used for blow-dry styling, but if your hair is dry or prone to frizz, try to avoid brushing your hair once it is dry. Visit Lolly G's Hair Salon in Stuart FL for the best hair care, haircuts & styles! A personal consultation and expert styling advice for your particular hair type is always part of the experience!